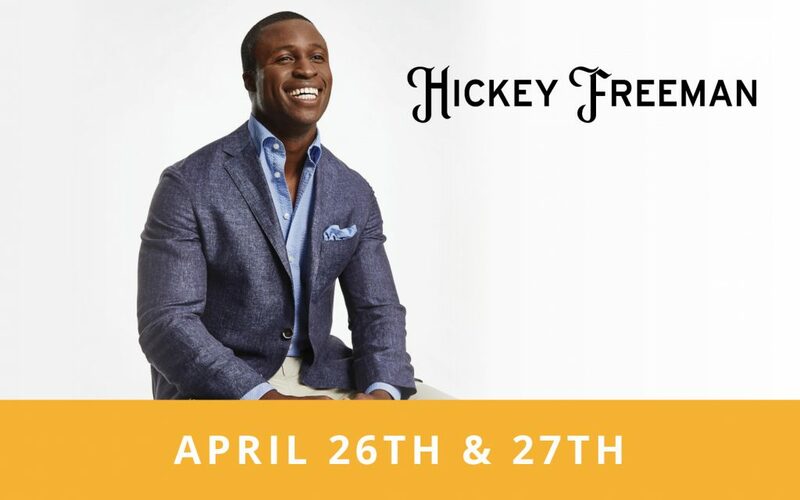 Please join us Friday, April 26th 10 am – 6 pm and Saturday, April 27th 10 am – 5:30 pm to shop to support returning veterans with suit donations and volunteerism. Help us create awareness and celebrate veterans and their success after service by shopping at the show. Rep Julian Delos Reyes will be in store to assist with fittings and to answer any questions. Special pricing will be available. Please join us April 19th & 20th to preview the Spring 2019 Collection from Johnnie-O. 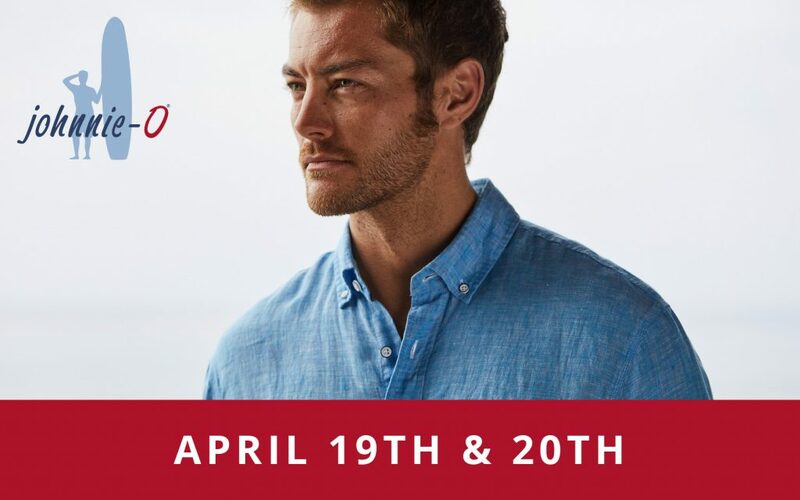 Johnnie-O Sales Director, Jim Farrell will be in store Friday and Saturday to show the Spring 2019 Collection. Plus…buy 3 items and receive the 4th item free! 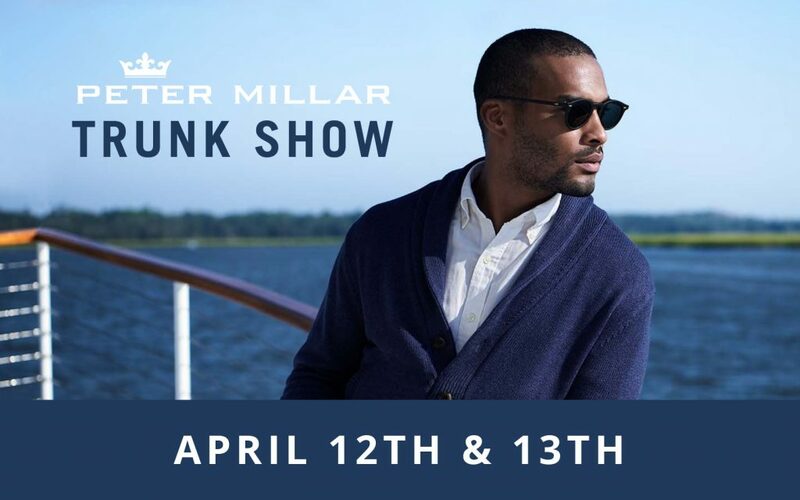 Please join us April 12th & 13th to preview the Peter Millar Spring 2019 collection. Take 15% off orders under $500, or 20% off orders above $500. Buy 1 custom garment, receive 50% off the 2nd garment of equal or lesser value. 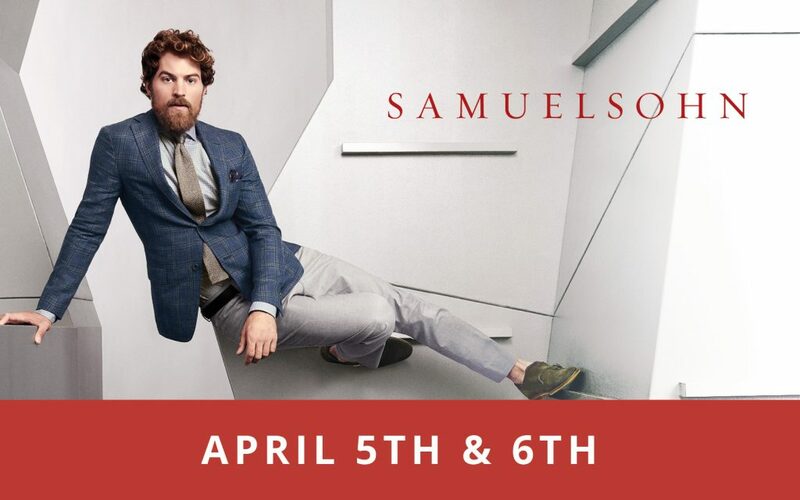 Please join us Friday, April 5th & Saturday, April 6th to shop Passion + Performance from the Samuelsohn Spring 2019 Collection. Special event pricing will be available during the show. 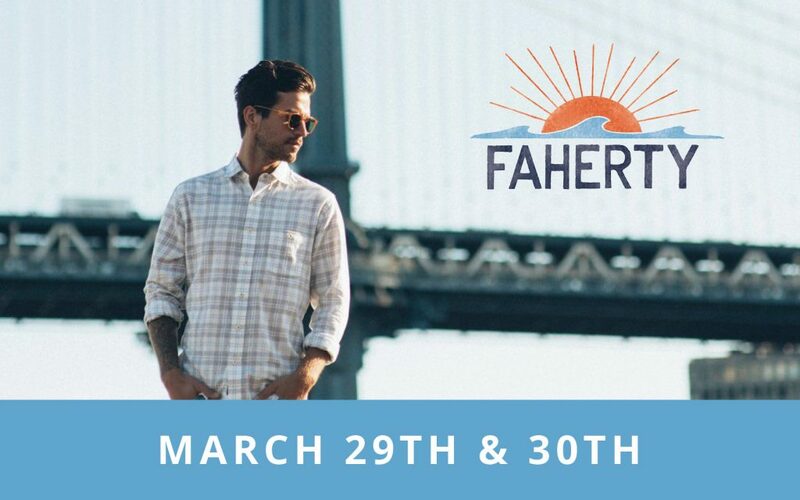 Please join us Friday, March 29th & Saturday, March 30th to shop the Faherty Spring 2019 Collection. Explore this unique line of clothing for life’s great moments, the ones spent by the water, around a bonfire, catching waves or watching sunrises. Come meet rep Chris Shelton and enjoy 10% off all purchases during the show! It’s cold outside but it’s sunny with Johnnie-O west coast prep! Join us December 7th & 8th to find the perfect gift this holiday season. Sales Director, Jim Farrell will be in store Friday and Saturday to show Fall, Holiday and Resort wear. Plus…Buy 3 items and receive the 4 item free! You’re invited! 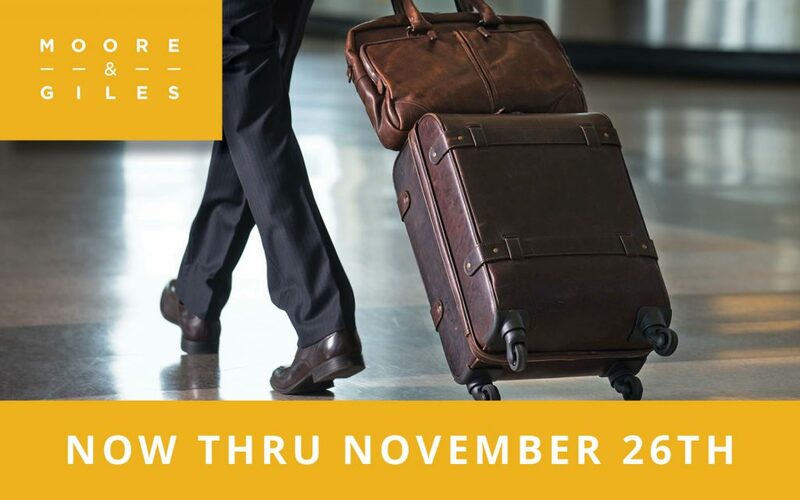 Join us today thru November 26th for a Moore & Giles Holiday Trunk Show. Shop the Perfect Holiday Gifts from Moore & Giles. Available for Holiday orders. 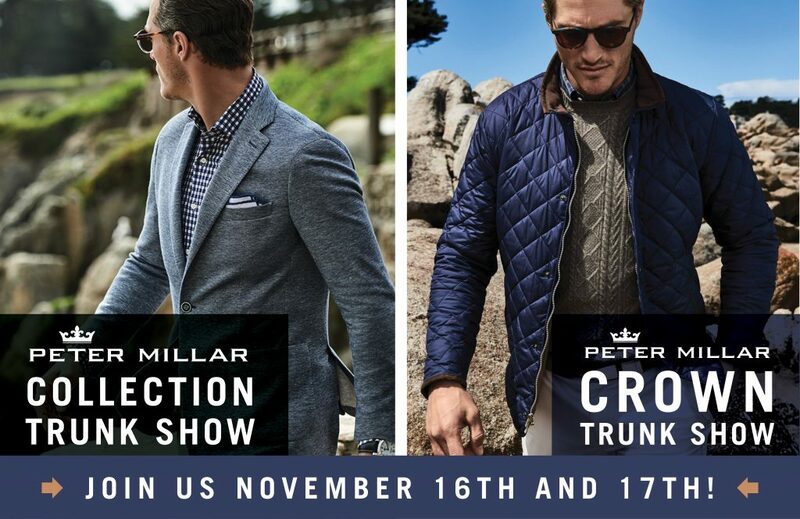 Please join us November 16th and 17th for the Peter Millar Collection and Crown Trunk Show. Marc Sampson will be in town showing the Fall 2018 Peter Millar Collection. Charlie Schenck, will be showing the Fall 2018 Peter Millar Crown Collection as well as the Spring 2019 Holiday and Resort Collection, in-store now. PLUS…Enjoy 15% off all purchases over $300 and 10% off all purchases up to $300. 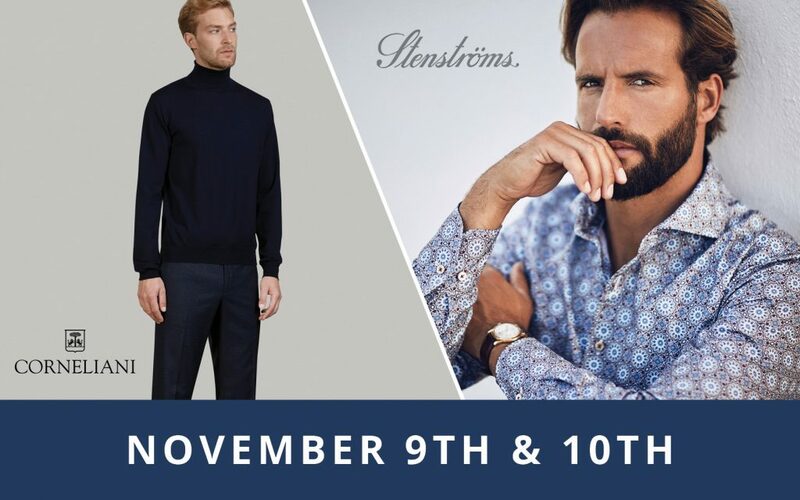 Please join us November 9th & 10th to shop Our European Event featuring Stenstroms and Corneliani. Enjoy special pricing on all European Vendors during this special event. 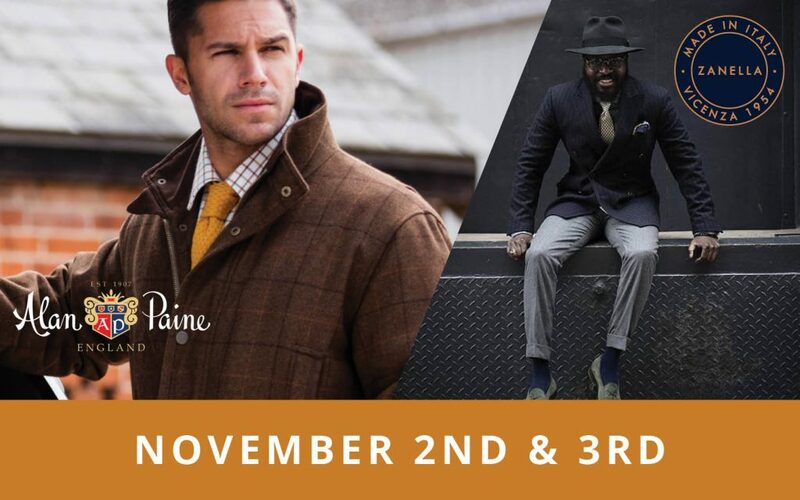 Please join us November 2nd & 3rd for an Alan Paine and Zanella Trunk Show. 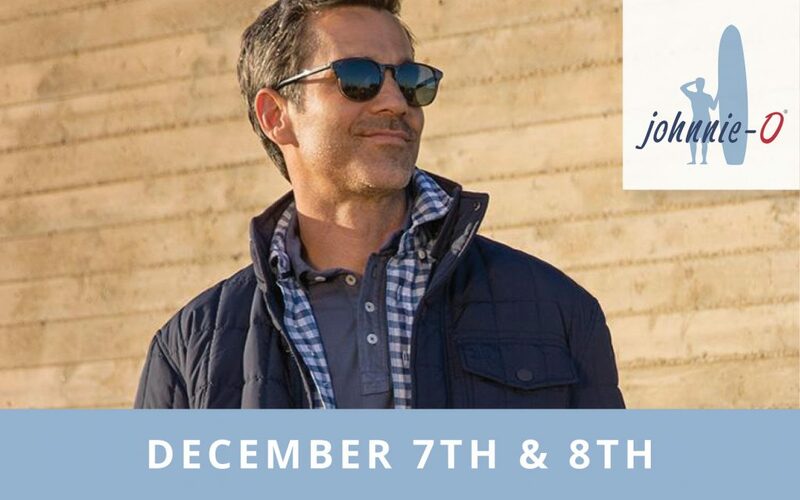 Jim McKenry, Brand Manager for Alan Paine, will be in store on Saturday to show the line of available sweaters and outerwear. Zanella rep, Kamau, will be here to show Zanella trousers in stock. PLUS enjoy 15% off all purchases.